Services in the area from Sunday, January 29. January 30: 8.30am Morning Prayer at Market Rasen. February 1: 9am Morning Prayer at Market Rasen; 10am - 11.30am Mini Messy at Market Rasen Church Room; 7.30pm Bell ringing practice at Market Rasen. February 2: 9.30am BCP Communion at Market Rasen; 10.30am Communion at Waterloo House. February 3: 9am Morning Prayer at Market Rasen; 7.15pm Choir Practice at Market Rasen. Glentham: 4pm Cafe Worship, the Rev Anne Coates. 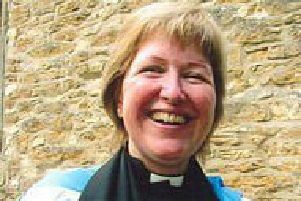 Middle Rasen: 10.45am the Rev Louise Carr; 6pm Cynthia Bunch. North Kelsey: 10.45am Karen Elvidge. 10.30am United Service at Newton by Toft. 11am Group Communion at South Kelsey. 10.30am Group Communion at Normanby. 10am Morning Prayer at Sixhills. 10.30am Joint Communion at South Carlton. 9am Service at Grayingham; 10.15am Joint Covenant Service at Waddingham Chapel; 11am Communion and Wholeness & Healing at Kirton Lindsey. 10.30am Divine Liturgy at St Aethelheard’s Orthodox Christian Church, East Chapel, Louth Cemetery, London Road, Louth LN11 9QP. All welcome.